It would be an interesting project to research just how many rock formations across the country have acquired the nickname "headache rock." 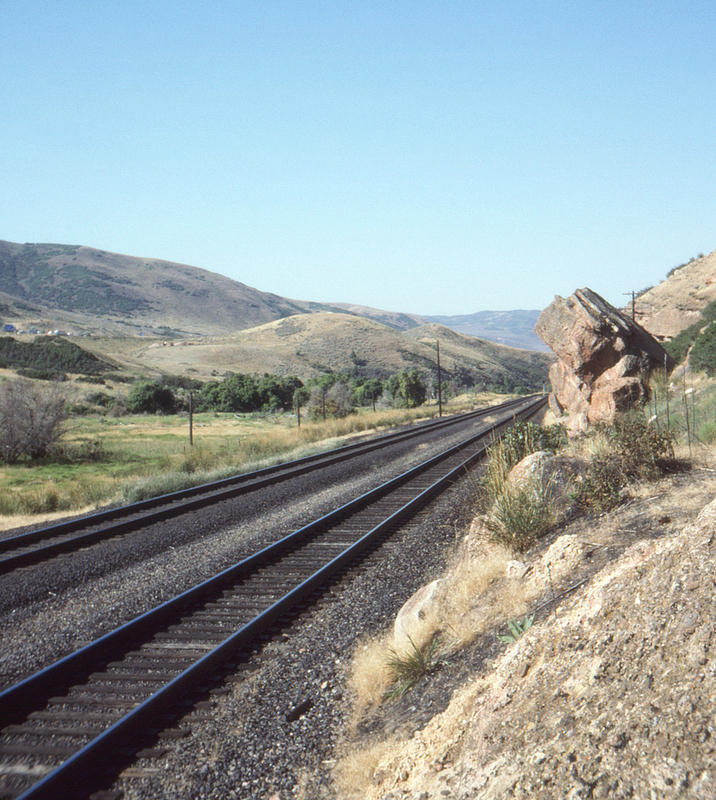 This one, on the Union Pacific in Echo Canyon, would certainly qualify. This view looks southwest down the canyon.